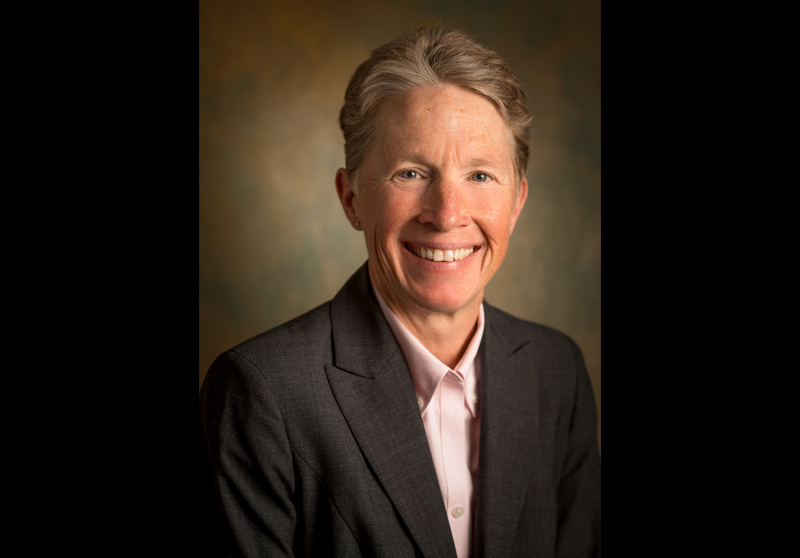 RICHLAND, Wash. — Allison Campbell, a chemist and director of a large research directorate at the Department of Energy's Pacific Northwest National Laboratory, has been voted 2016 president-elect of the American Chemical Society — the world's largest scientific society. Campbell will serve a total of three years, including one-year terms each as president-elect in 2016, president in 2017, and immediate past president in 2018. "I'm incredibly honored to have been elected, and I will work passionately for our members to advocate for chemistry and science," Campbell said. "Chemistry is central to the prosperity of our nation, and increasing our country's understanding of how science improves lives is critical if we are to remain at the forefront of innovation. I welcome the opportunity to help ACS lead a national conversation about the important role of science in our society." For decades Campbell has been a fierce advocate of science, explaining the nuances of scientific exploration and the thrill of discovery to audiences ranging from school children to legislators. She has visited local schools and helped judge science fairs, and she has hosted high school students in her laboratory. She takes an active role in advancing the careers of her staff and takes time each month to conduct a video interview with a featured PNNL scientist, giving that scientist an opportunity to discuss his or her work and its impact on society. Campbell has served in a variety of roles at PNNL since joining the laboratory in 1992. She is currently acting associate laboratory director, heading the efforts of more than 500 researchers and other staff members in the Earth and Biological Sciences Directorate. With her leadership, scientists work toward discoveries in bioenergy, the restoration of our environment, climate science, microbiology, and biomedical science. Campbell is also responsible for many of the Department of Energy's Office of Science research programs at PNNL — working to deliver scientific innovation and impact to DOE challenges. Campbell also provides oversight and stewardship for two Department of Energy user facilities — the Atmospheric Radiation Measurement (ARM) program as well as EMSL, the Environmental Molecular Sciences Laboratory. For 10 years she was the director of EMSL, where under her leadership, scientists from around the world sought out EMSL to pursue new discovery and innovation for environmental and energy applications. She and her staff have been leaders in the National User Facility Organization, which promotes the nation's network of user facilities and scientists through outreach and education activities. As a scientist, she invented a process for coating biomedical bone implants with biocompatible and anti-infection coatings in the hopes improving recovery time for patients and extending the life of the joints. That work led to six U.S. patents, an R&D 100 award, a Federal Laboratory Consortium Award for Excellence in Technology Transfer, and an ACS Regional Industrial Innovation Award. Steven Ashby, director of PNNL, praised Campbell's election, saying, "We're proud that ACS members have recognized Allison's passion for science advocacy and literacy, and their importance to the continued health of the ACS and the entire scientific enterprise. Allison will be a great advocate and leader for ACS, just as she has been for EMSL and PNNL." Campbell, a fellow of the American Association for the Advancement of Science, was previously named one of ACS's Women at the Forefront of Chemistry in 2002. She also received the Pioneer of Science Award, given to individuals with connections to western New York, by the Hauptman-Woodward Medical Research Institute in Buffalo, N.Y.
She earned a bachelor of arts degree in chemistry from Gettysburg College in Pennsylvania and a doctorate in chemistry from State University of New York at Buffalo. She was an invited researcher at the Max-Planck Society in Dresden, Germany in 1994. For a full bio, view Campbell's biosketch. With more than 158,000 members, the American Chemical Society (ACS) is the world's largest scientific society and one of the world's leading sources of authoritative scientific information. A nonprofit organization, chartered by Congress, ACS is at the forefront of the evolving worldwide chemistry enterprise and the premier professional home for chemists, chemical engineers and related professions around the globe.